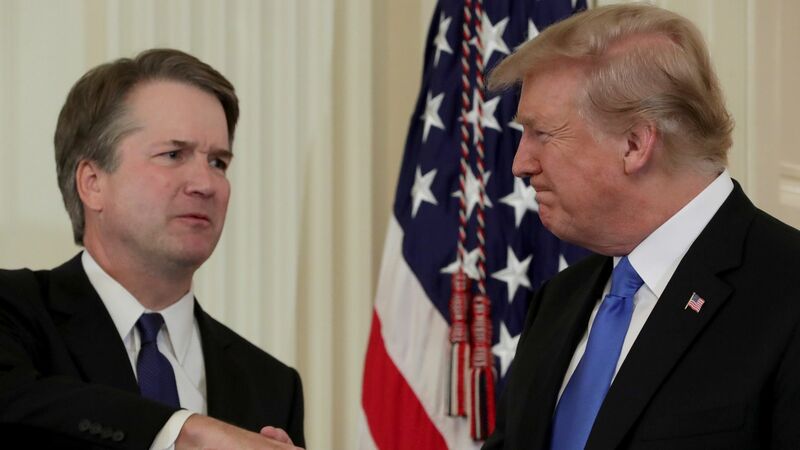 Trump doubles down on Kavanaugh: "I am with him all the way"
President Trump reiterated his defense of Supreme Court nominee Brett Kavanaugh following a new report of his alleged sexual misconduct, telling reporters at the UN General Assembly that the allegations are "totally political." "Judge Kavanaugh is an outstanding person and I am with him all the way... There's a chance that this could be one of the single most unfair, unjust things to happen to a candidate for anything."